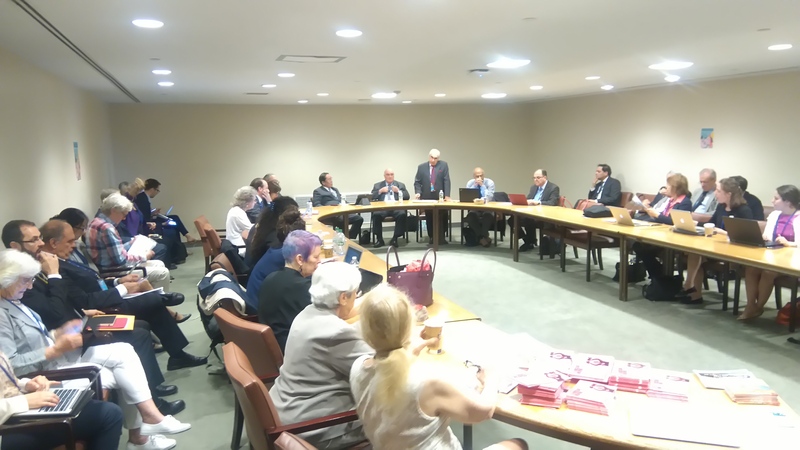 On 16 June 2017, Pugwash held a roundtable consultation sponsored by the Permanent Mission of Brazil to the UN in the margins of the UN Conference to Negotiate a Legally Binding Instrument to Prohibit Nuclear Weapons, Leading Towards their Total Elimination. The meeting gathered more than 60 individuals from civil society and national delegations. The present report is a summary of the main topics discussed, prepared by the rapporteur. 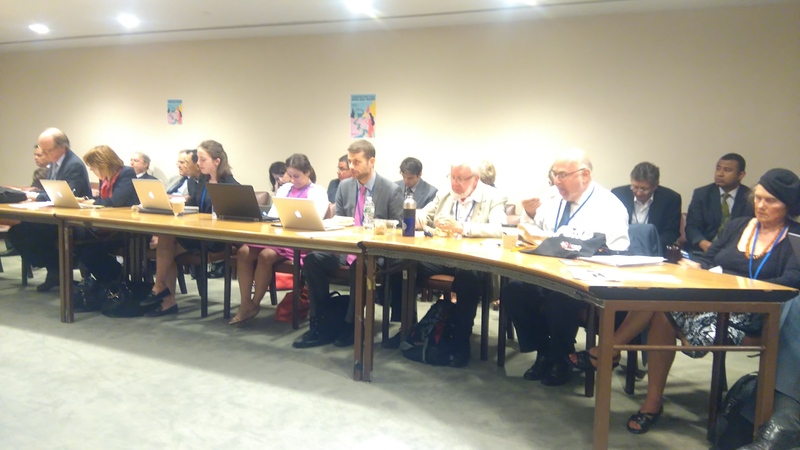 The topic of hosting nuclear weapons is a central element of the proposed Nuclear Ban Treaty that would differentiate it from the existing framework of the Non-Proliferation Treaty. The nuclear hosting arrangements that exist were ‘grandfathered’ in during the original NPT negotiations, and currently five European countries host 150 American tactical nuclear weapons, down from many thousands during the Cold War. Although political will in those five countries to retain this situation has withered, including explicit calls for the withdrawal of the nuclear weapons by some NATO states, the status quo has remained. Indeed, new NATO member states from Eastern Europe now appear to be the most keen advocates of strengthened US security protection. It was clear in discussion that the sheer unsuitability of the tactical nuclear weapons for war-fighting in Europe has shown that they are more of a political symbol than a useable option. It was also pointed out that the common argument, often made in US circles, that “nuclear sharing” helps non-proliferation is in fact misleading. Previous examples exist when, despite military resistance, the security situation did not change following the removal of nuclear weapons (e.g. in Okinawa). 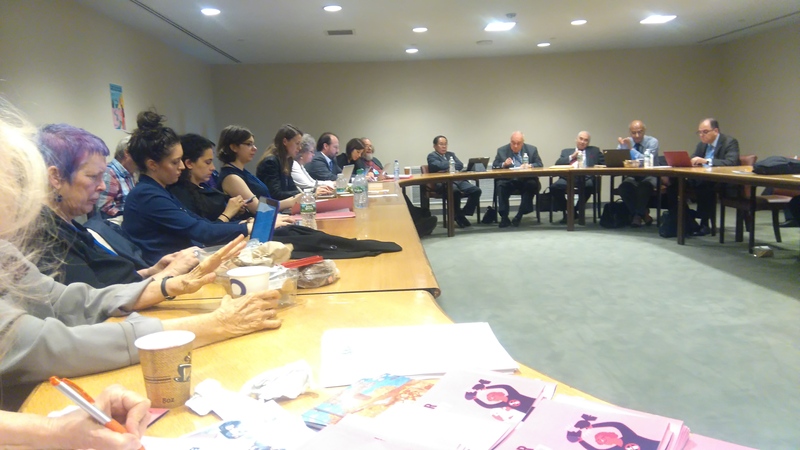 A key point raised was that it is very important to prevent future arrangements of “nuclear sharing” or just hosting nuclear weapons belonging to other countries, as it could be a way of circumventing the NPT. 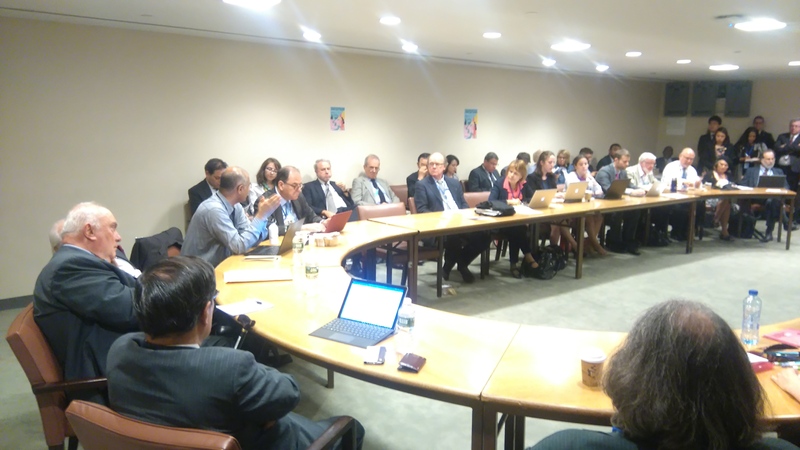 The current nuclear governance architecture does not prohibit the possibility of other nuclear weapons states making similar arrangements with other non-nuclear weapons states. Such a future scenario is a grave danger to the goal of non-proliferation, by either producing a destabilising cascade affect in the security calculations of neighbouring states or inducing some countries that do not have nuclear weapon states supporting them simply to withdraw from the NPT. In this context, the inclusion of articles 1(b) and 1(c) in the draft treaty prohibit any such sharing arrangements. This creates a clear and strong legal principle that is not only complementary to the spirit of the NPT but closes a loophole in that treaty. Many participants felt that an explicit referencing of the “use or threat of use” of nuclear weapons would be an important contribution. Such language has been suggested in the first two days of the Conference deliberations, but there is no clear consensus. It was felt that a ban on the use of collective nuclear threats would be a positive step forward. This led to debate as to whether the Ban Treaty ought to go further in more explicitly addressing scenarios where nuclear weapons would be used in a country’s defence when they in fact belong to another state. The concept of extended deterrence implicates a wider variety of practices in regions beyond Europe, in particular in North East Asia. In this sense, the Ban Treaty would be viewed as a challenge to NATO itself, as well as the nuclear umbrella of the US, insofar as many non-nuclear weapons states participate in nuclear planning and nuclear war exercises. The Ban Treaty has the potential to curtail such activity that again is not covered under the NPT. The Netherlands is currently the only NATO state participating in the negotiations. Their opening position has been that it could not sign the Ban Treaty if it ran counter to NATO, but it was pointed out that treaties are intended to cause a change in the status quo and that the Netherlands are aware of this. Their participation could actually help in driving a wedge between NATO states and strengthen national civil society calls in those countries for the removal of nuclear weapons from Europe. The Ban Treaty thus presents an opportunity to not only reinforce the legal principle against nuclear weapons and lead to their total elimination, but through the careful and creative inclusion of certain provisions, would also play a vital role in enhancing global security.